which you fashioned from clay. Today Jesus is called upon as King and Desire of Nations. 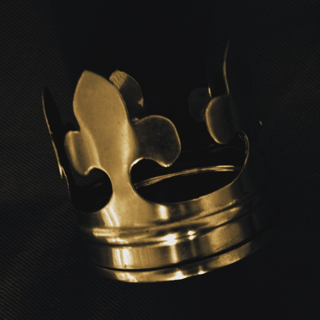 Earlier in the week we've seen that He is the long expected King of Israel, the King who would come to set His people free. But His Kingdom isn't limited to Israel. In Isaiah 11, when the coming of the Rod of Jesse is prophesied, His Kingdom is described, and that description in no way matches Israel. Although He comes from the royal house of Israel, His Kingdom is much much greater! The peaceful Kingdom of the Rod of Jesse extends to the whole earth (Isa. 11:9). He truly is the King of the world. And this extension of His Kingdom isn't a conquest by Israel. The Gentiles are not being chased away; no, they are coming to the King! “The Gentiles shall seek Him” (Isa. 11:10). He is not only their King, but their Desire. Christ the King welcomes Jew and Gentile alike into His reign. You see, entrance into His Kingdom doesn't depend on who we are or what we've done, but on who He is and what He's done. The New Testament tells us even more. Not only does He welcome and receive both Jew and Gentile, but He unites them together in one Body, one new man (Eph. 2:11-22). For through Him we both have access by one Spirit to the Father. Now, therefore, you are no longer strangers and foreigners, but fellow citizens with the saints and members of the household of God, having been built on the foundation of the apostles and prophets, Jesus Christ Himself being the chief corner stone (Ephesians 2:18-20). Help! The Bishop says I'm Poisonous!